How many times have you been on Pinterest or notice someone else's post on blog success? Have you found yourself searching for great information to utilize to hopefully become a success only to end up with little to go on? I have lost track on how many posts and articles I've read. There are so many and, honestly, I didn't know what advice to listen to. I find that there is so much to do on a daily, weekly and monthly basis that sometimes I feel like I'm in a gigantic rut and don't know what I should actually be focused on. I am hopeful that there is someone to relate to. Truth be told, I've been blogging for just about 6 months now and I obviously don't have it all figured out. I really don't think that I will for a while, but from a "newbie's" point of view, I thought someone somewhere might be interested on how I manage my blog and how I'm starting to grow. Basically, for starters, I just do what comes naturally. Some days I'll only have time to write a post. When I write posts, I try to put myself in my reader's seat. I am not the type of person to sit and read long posts so I try to keep mine short and to the point when I can. I've read that your posts should be a certain amount of words with certain amount of pictures. Well, I don't have time to sit here and count every word and I like looking at pictures. I think they show the time and effort someone has put into their work. Right? I do think there has to be a happy balance, though. Ever look at a post with twelve pictures and one sentence? Yeah. Exactly my point. On days that I only have time for promoting, I often reshare posts on my social media platforms that I know will get a lot of viewers. I do have to say that...right at this moment....is sort of a guessing game. I thought Facebook was going to be this incredible blogging community site where I would instantly gain followers and readers, but I was wrong. I thought the complete opposite of Twitter and I have more followers on there than almost anywhere else. In my opinion, I think that they are all equally important, but never forget to get to know your followers. I have had the pleasure of working with some truly amazing people since I began. I've been contacted by different companies and people looking for a voice through my blog. I do have to say that the key to a successful review and blog in general is to choose who you work with carefully. Not everything I've been contacted about has made an appearance on my blog. It's important to make sure that you're doing reviews and guest posts, etc. based on the interest of your audience. There are also great sites out there to help you get noticed by a variety of companies and brands. 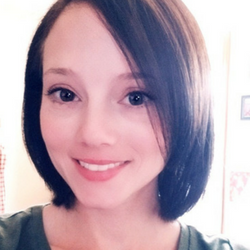 Influenster.com isn't entirely blogger based since you independently qualify for what they call "VoxBoxes" containing random products for your review, but can give you a great start in practicing those review posts. Sverve.com is another favorite of mine because I have had great success in branching out to brands and companies, one of those being Parade.com where I was able to publish my own article! That was definitely a great experience and I'm still pitching ideas to them! One thing I thought was completely daunting when I started blogging was the ability to gain an audience. Why was I writing all of these posts that I thought were great if I have no one to read them? I felt a little foolish sharing my blog with my friends and family since I didn't know how they'd react. Basically, this meant that aside from a few I knew wouldn't judge me and would be supportive, I had to start completely from scratch. One of the best ways, hands down, to gain exposure is to participate in link parties. What is a link party? Well, you know that post you wrote yesterday? Link it up on someone's blog with other bloggers' posts. These parties sometimes pertain to certain categories like crafts or recipes, but all in all, I find they are versatile and let you share anything. The object is to share yours and discover other blogs as well. This is a great way to make friends. They become followers and so it begins! Have the opportunity to become a host or co-host for one? Do it! It's a great way to interact with new people, learn new things and stay in contact with the many friends you are sure to make. So...there it is. Of course there are things like analytics, SEO and all that jazz. (This is something I'll probably post about at a later date.) If you're blogging to make money, they are super important, but the best thing to remember (I've realized) is that if you start your blog off with the soul intention on making money right away, you'll burn yourself out and loose interest fast. I can only suggest to take things in stride. Learn step by step and gain your following. The best bloggers out there are successful because they are doing something they love and make money in the process. Please leave your feedback below. Like I said, I am new to blogging and would love any suggestions and advice. Thank you! I see you have the "interactive" box here at your blog. How did you get it to work? I've tried like crazy to get it to show up on mine, but Blogger seems intent to ignore me. And guess who won? I'm trying to leave a message via your contact form, but it's not taking. My ad blocker is turned off, so I'm unsure of why it won't go through! Thanks for visiting and if you would still like to contact me, the email associated with my contact form is luvandlaugher@gmail.com. I agree. If I worry about numbers and site views and money, then I would have quit already! I have to focus on doing what I love and perhaps think that it helped at least one person. Isn't that what blogging should truly be about? Thank you for sharing! Stopping by from SITS. Great post! Like you I am new to blogging, and trying to learn all I can. I agree writing from the soul is key, and the followers will come in due time. I'm six months in as well and still learning sooo much.. Just wrote a post about it lol- Where's the Momentum. My main focus right now is gaining followers and adding content, it just seems like I loose momentum sometimes. Life just happens and before I know it, weeks have gone by. How do you NOT run out of things to write about? A great post - and congratulations on a successful blog! I hadn't heard of Influenster; I'll have to check it out. Happy SITS Day. Love this post. I just started in February and I am constantly learning new things. There is so much to learn, it can be overwhelming. Great post to summarize some important points. Stopping by from SITS. These are really great suggestions for a new blogger. I wish I had tips like these when I started blogging over four years ago. I spent almost 2 years floundering, wondering what the heck I was supposed to do to get people to visit my site! Visiting from SITS - happy belated SITS Day! You got me at "only blogging for six months". Wow, you sound like a seasoned pro and your blog certainly looks that way too. Kudos to you! Great article too. 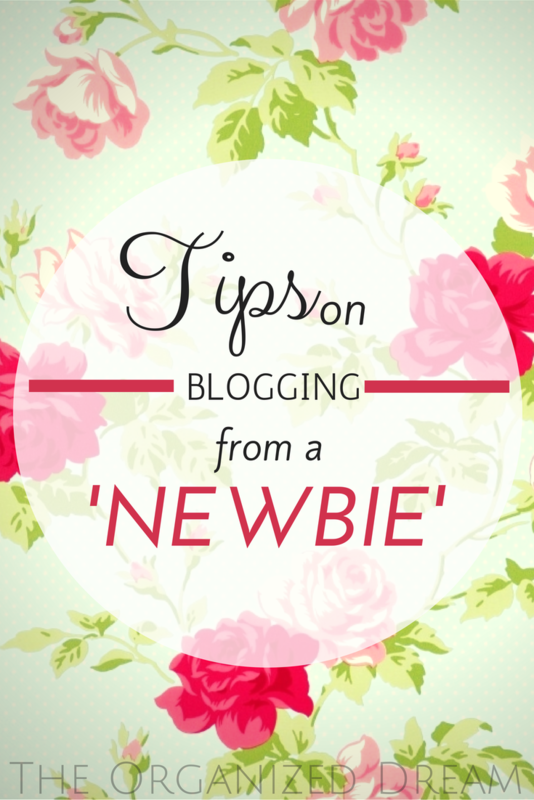 These are all very, very good recommendations for blogging newbies! My blog is new, but I'm not new to blogging. I've thankfully learned all of these things over the period of time when I had my two other blogs, so I know exactly where I want to take my current blog and know what to do to get it there. Thanks for sharing this great advice! Hi! 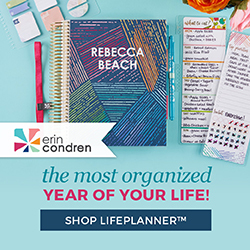 I've been blogging for about 6 years now,and found this post extremely helpful and encouraging! Thank you for sharing! Thank you, Patty! I'm glad to help you! While I've been blogging for about three years I had to take a blogging break this past year, so I feel like I'm starting all over. My biggest struggle has been gaining an audience. I never really thought of joining link parties so I'll have to give that a try! Thank you for sharing wonderful tips for starters in blogging. I'm also a new blogger. I have you listed as one of my favorite blogs on my blog. Please take a moment to stop by and check out my blog: http://lifelovebeautyparadise.blogspot.com/?m=1...spread the love ❤ I'm open to any suggestions and comments. I started blogging in 2009. My first blog was on Tumblr and I literally had thousands of followers there and when I made a blog on Blogspot, there would be people who would check it out and follow me there too. I made the mistake of deleting my Tumblr and Blogspot though because when I got popular somehow, "haters" and issues emerged and at that time, I can't handle the pressure and cyber bullying going on. I really love blogging and writing though so here I am, doing my best to come back although yes, it's not the same. I miss having many comments sometimes but I'm still glad that even though I don't get much comments like before, there are still people who read my posts and they would just approach me on Facebook or wherever then we'll talk about my posts there instead of in the comment section. Thank you so much for the advice by the way! I hope I would be able to manage my blog better now. how do you get paid from having ads on your blog and how did you abtian those ads?